The TGIS-SL® is a Micro-Poise geometry system that allows operators a complete sidewall inspection in one revolution. This allows the operator to inspect for any anomalies in the tires and tire & wheel assemblies, such as bulges or depressions that would compromise the integrity of a tire. With the scanning ability to view sidewalls with excessive lettering and designs more accurately and to send that information faster and further with the availability of Ethernet connection, the TGIS-SL® is a complete geometry inspection system that complements a multitude of Micro-Poise uniformity and dynamic balance machines. The TGIS-SL® has the largest measurement area and field view, fastest scanning, and highest resolution of any similar sensor on the market, using AkroSCAN™ technology. Only one revolution is required to accurately scan a tire for imperfections. 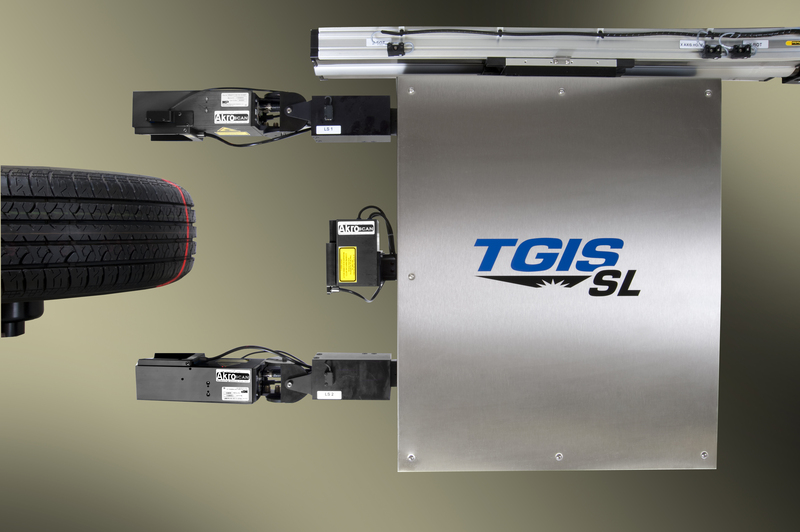 The TGIS-SL® maximizes throughput of inspected tires.